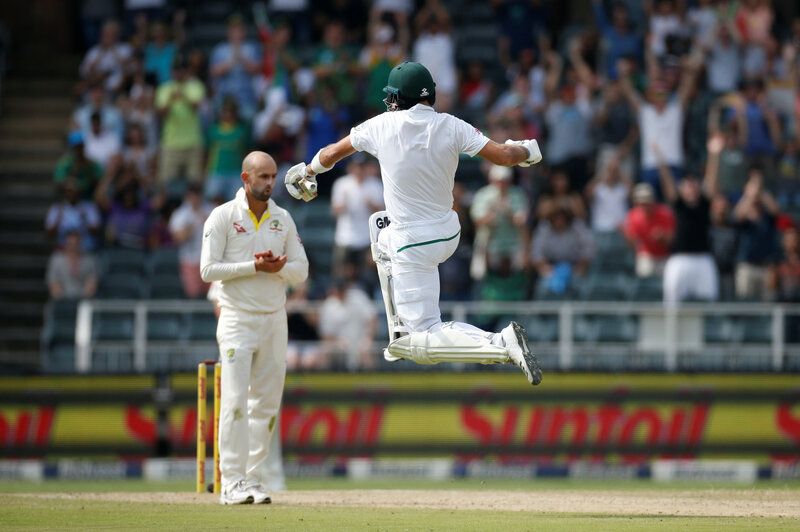 JOHANNESBURG – Opener Aiden Markram led the way with an unbeaten century as South Africa dominated the opening day of the fourth test against a much-changed Australia, going to tea on 177 for two on Friday. The tourists, reeling from their ball-tampering scandal and led by new captain Tim Paine, had to endure chants of “where is Warner?” from the sizeable home support as a reminder of the bans handed to captain Steve Smith, his deputy David Warner and opener Cameron Bancroft. Markram (111) and AB de Villiers (8) will resume in the final session, looking for a sizeable total on a wicket already taking turn and showing widening cracks as they seek a first home series win over Australia in almost 50 years. After losing the toss, Australia’s bowlers largely toiled, but have found enough in the wicket to cause alarms for the home side, with Pat Cummins particularly impressive. Spinner Nathan Lyon is getting turn, but he has not been helped by defensive field settings from Paine that have allowed the South Africans to rotate the strike, providing no pressure for the touring side. 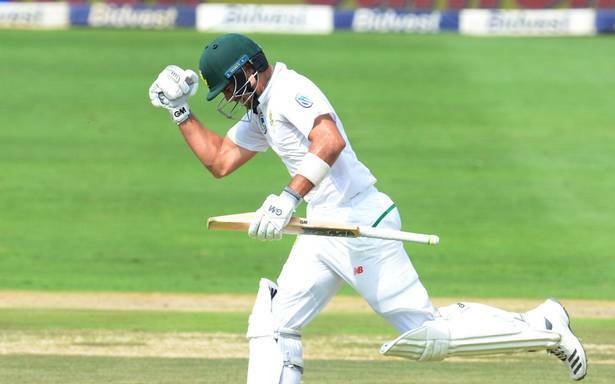 The excellent Markram has been the anchor for the innings, hitting 12 fours and a six on his way to a fourth career century to go with three fifties in 17 test innings. His second ton after he made 141 in the first test in Durban took South Africa’s tally of hundreds in the series to four while no Australian batsmen has reached three figures. 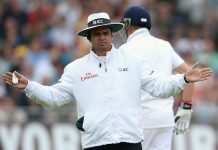 Dean Elgar (19) was the only success for the labouring touring side in the morning session, and his mode of dismissal was a familiar one, the third time in the series he was caught off a leading edge from the bowling of Nathan Lyon. The home side also lost Hashim Amla (27) to Cummins (1-30), who found an edge on the drive and Peter Handscombe took an excellent catch at second slip. Australia made four changes from the last test, replacing the banned trio with Joe Burns, Matt Renshaw and Handscombe. Fast bowler Mitchell Starc has a fracture in his leg and was replaced by Sayers, who failed to impress. South Africa, 2-1 up in the series, are unchanged with fast bowler Morne Morkel playing his final test match before he retires from international cricket.